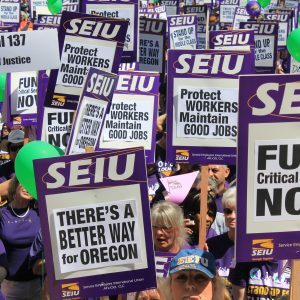 SEIU Local 503 today released an issue brief on Oregon’s child welfare system: Oregon Child Welfare: Rebuilding the Home. 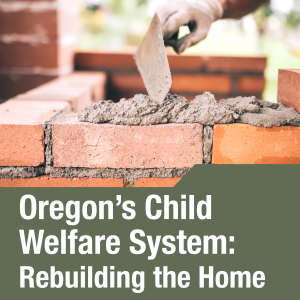 For years, Oregon has faced dire challenges to its child welfare system. Inadequate training for foster parents, overburdened caseworkers, and a lack of decent foster placement options plague the system. 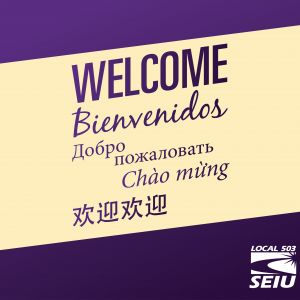 SEIU Local 503 members believe that the Legislature needs to prioritize a long-term, comprehensive investment. “Simply put, we cannot make cuts to child welfare while we remain dead last in the nation for corporate tax collection,” states Barbara Walsh, a support services specialist at Medford’s DHS Child Welfare office. Our state must come together around a unified prevention agenda that will reduce the number of children who come into the foster system, while at the same time improving services for the children who do. We have a responsibility to provide a safe and nurturing environment for children whose families are not able to do so. 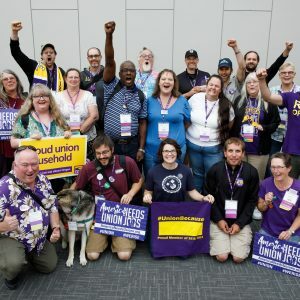 SEIU Local 503 will be working with stakeholders to ensure that legislators are aware of the ongoing, overarching needs at Child Welfare Services. Tell your legislator why it's important to you that we invest in child welfare.